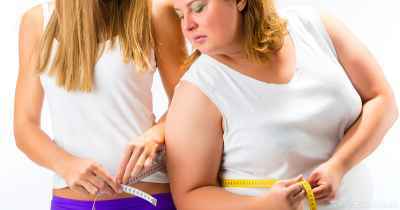 Losing weight during and after menopause may seem impossible. Hormone changes, stress and the aging process can all work against you. However, there are several steps you can take to make weight loss easier during this time. Why Does Menopause Make it so Hard to Lose Weight? Menopause officially starts when a woman hasn’t had a menstrual cycle for 12 months. Around this time, she may find it very hard to lose weight. Hormone fluctuations: Both elevated and very low levels of estrogen can lead to increased fat storage (1, 2). Loss of muscle mass: This occurs due to age, hormonal changes and decreased physical activity (3, 4, 5). Inadequate sleep: Many women have trouble sleeping during menopause, and poor sleep is linked to weight gain (6, 7, 8). Increased insulin resistance: Women often become insulin resistant as they age, which can make losing weight more difficult (9, 10). Bottom Line: A calorie deficit is needed for weight loss. However, cutting calories too much increases the loss of lean muscle, which accelerates the drop in metabolic rate that occurs with age. 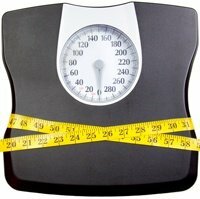 In order to lose weight, a calorie deficit is needed. During and after menopause, a woman’s resting energy expenditure, or the number of calories she burns during rest, declines (11, 12). Although it may be tempting to try a very-low-calorie diet to lose weight quickly, this is actually the worst thing you can do. Research shows that restricting calories to low levels causes loss of muscle mass and a further decline in metabolic rate (13, 14, 15, 16). So while very-low-calorie diets may result in short-term weight loss, their effects on muscle mass and metabolic rate will make it hard to keep the weight off. Moreover, insufficient calorie intake and decreased muscle mass may lead to bone loss. This can increase your risk of osteoporosis (17). Research also suggests that “dietary restraint,” such as watching portion sizes instead of drastically slashing calories, may be beneficial for weight loss (18). Adopting a healthy lifestyle that can be maintained long-term can help preserve your metabolic rate and reduce the amount of muscle mass you lose with age. Here are three healthy diets that have been shown to help with weight loss during and beyond the menopausal transition. Many studies have shown that low-carb diets are excellent for weight loss, and are also able to reduce abdominal fat (19, 20, 21, 22, 23). Although peri- and postmenopausal women have been included in several low-carb studies, there have only been a few studies looking at this population exclusively. In one such study, postmenopausal women on a low-carb diet lost 21 lbs (9.5 kg), 7% of their body fat and 3.7 inches (9.4 cm) from their waist within 6 months (24). What’s more, carb intake doesn’t need to be extremely low to produce weight loss. In another study, a paleo diet providing roughly 30% of calories from carbs produced a greater reduction in belly fat and weight than a low-fat diet after 2 years (25). Here is a detailed guide to the low-carb diet. It includes a meal plan and menu. Although the Mediterranean Diet is best known for improving health and reducing heart disease risk, studies show it may also help you lose weight (21, 26, 27, 28). Like low-carb diet studies, most Mediterranean diet studies have looked at both males and females rather than peri- or postmenopausal women exclusively. In one study of men and women aged 55 years and older, those who followed a Mediterranean diet had significant reductions in abdominal fat (29). Read this for a guide to the Mediterranean diet, including a meal plan and menu. Vegetarian and vegan diets have also shown promise for weight loss (30). One study in postmenopausal women reported significant weight loss and improvements in health among a group assigned to a vegan diet (31, 32). However, a more flexible vegetarian approach that includes dairy and eggs has also been shown to work well in older women (33). Bottom Line: A well-balanced low-carb, Mediterranean or vegetarian diet can help women lose weight during and after menopause. Most people become less active as they age. However, exercise may be more important than ever during and after menopause. It can improve mood, promote a healthy weight and protect your muscles and bones (34). Resistance training with weights or bands can be extremely effective at preserving or even increasing lean muscle mass, which normally declines with hormonal changes and age (35, 36, 37, 38). Although all types of resistance training are beneficial, recent research suggests that performing more repetitions is better, especially for reducing abdominal fat (39). Aerobic exercise (cardio) is also great for women in menopause. Studies have shown that it can reduce belly fat while preserving muscle during weight loss (40, 41, 42). A mix of strength training and aerobic exercise may be the best strategy (43). Bottom Line: Resistance and aerobic exercise can help promote fat loss while preventing the muscle loss that normally occurs around menopause. Getting enough high-quality sleep is important for achieving and maintaining a healthy weight. People who sleep too little have higher levels of the “hunger hormone” ghrelin, lower levels of the “fullness hormone” leptin and are more likely to be overweight (44). Unfortunately, many women in menopause have trouble sleeping due to hot flashes, night sweats, stress and other physical effects of estrogen deficiency (7, 45). Cognitive behavioral therapy, a form of psychotherapy shown to help with insomnia, may benefit women experiencing symptoms of low estrogen. However, no studies have been conducted on menopausal women specifically (46). Acupuncture may also be helpful. In one study, it reduced hot flashes by an average of 33%. A review of several studies found that acupuncture may increase estrogen levels, which can reduce symptoms and promote better sleep (47, 48). Stress relief is also important during the menopausal transition. In addition to increasing the risk of heart disease, stress leads to elevated cortisol levels, which are associated with increased abdominal fat (49). Fortunately, several studies have found that yoga can reduce stress and relieve symptoms in women going through menopause (50, 51, 52). Supplementing with 100 mg of pycnogenol, also known as pine bark extract, has also been shown to reduce stress and relieve menopausal symptoms (53, 54). Bottom Line: Getting high-quality sleep and managing stress levels can improve quality of life and make weight loss easier during menopause. Here are a few other tips that can help with weight loss during menopause or at any age. Eat plenty of protein. Protein keeps you full and satisfied, increases metabolic rate and prevents lean muscle loss during weight loss (55, 56, 57). Include dairy in your diet. Research suggests that dairy products can help you lose fat while retaining muscle mass (58, 59). Eat foods high in soluble fiber. Consuming high-fiber foods like flaxseeds, Brussels sprouts, avocados and broccoli can increase insulin sensitivity, reduce appetite and promote weight loss (60, 61). Drink green tea. The caffeine and EGCG in green tea may help burn fat, particularly when combined with resistance training (62, 63, 64). Practice mindful eating.Mindful eating may help reduce stress and improve your relationship with food, so you end up eating less (65, 66). Bottom Line: Eating mindfully and consuming weight loss-friendly foods and beverages can help you lose weight during menopause. Although losing weight may be your primary goal, it’s important that you make changes you can maintain over the long term. It’s also best to focus on health, rather than the number on the scale.